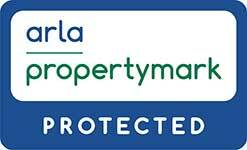 Looking to let your property, searching for a new home in Gloucestershire or maybe you have a general enquiry? We can help. Get in touch by email and we'll contact you within 24 hours (or sooner...) Alternatively pop into one of our branches or give us a call. We are committed to providing all of our landlords and tenants with the highest standards of customer service. However, there may be occasions when our service falls short of your expectations. To ensure your maximum protection, our complaints procedure has been designed to meet the requirements of all the regulatory authorities that control our business. 1) In the first instance, please submit your complaint in writing to the following email address: complaints@cgtlettings.com explaining your grievance. We will be in contact swiftly to acknowledge your complaint and advise of the contact details of the Lettings Manager that will be investigating your concerns. 2) In the unlikely event that you are not satisfied with the response you receive then your complaint will be further investigated by our Operations Manager or one of the Directors of CGT Lettings, please ensure this request is made in writing. If you wish to submit your complaint via post, the postal address for the head office of CGT Lettings is 119 Promenade, Cheltenham, Glos, GL50 1NW. 3) If you are still not satisfied the next step is for you to contact the Property Ombudsman at Milford House, 43 -55 Milford Street, Salisbury, Wiltshire SP1 2BP. You can also contact ARLA, Association of Residential Letting Agents, at Arbon House, 6 Tournament Court, Edgehill Drive, Warwick, CV34 6LG.